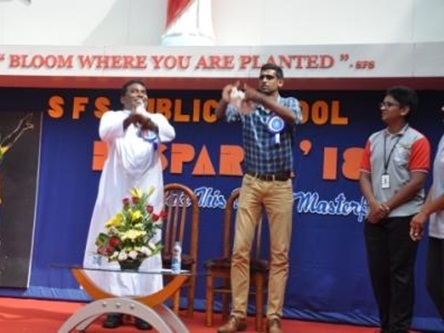 The much awaited Annual Sports Day DESPARTA’18 was held on 09 and10 October 2018, with great zeal, excitement and frolicsome atmosphere. 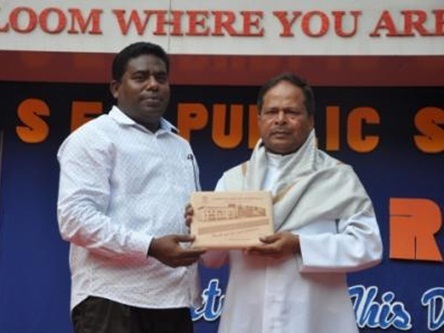 The programme began with welcoming the esteemed gathering and the chief guest, Mr Harshith S (one of the finest athlete of Karnataka) .He declared the meet open and in his address he emphasised on the importance of sports in child’s life. The students entered into the spirit of the occasion in a grand way with the oath being administered by Rev.Dr.Jabamalai. An energizing song set the tone for the rest of the event. Once the races began, the air was filled with cheering and tons of encouragement for the young athletes. The grand event came to an end on 10 October with the declaration of results. 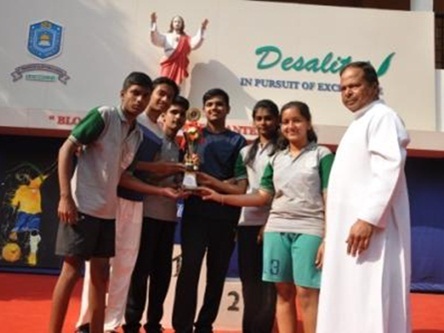 Rev.Fr.Durai, Assistant Parish Priest of SFS church declared the meet closed and felicitated the winners. Saturn House bagged the overall champions trophy followed by Venus House with the runner up trophy.